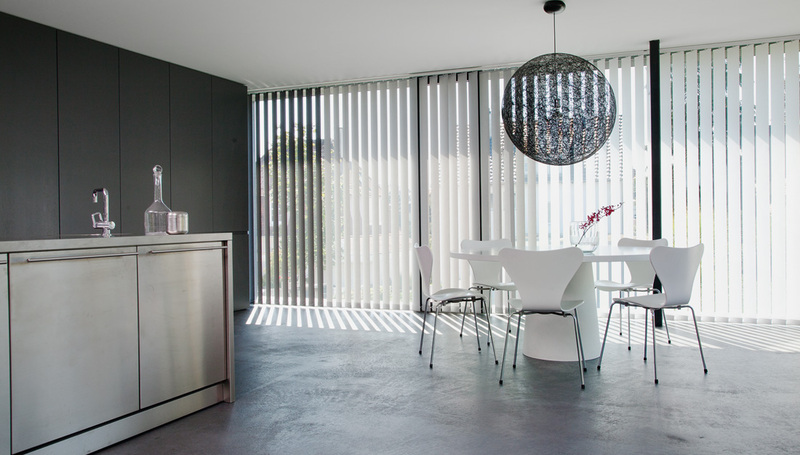 The MHZ vertical/venetian shade allows for optimal lighting regardless of the position of the sun. 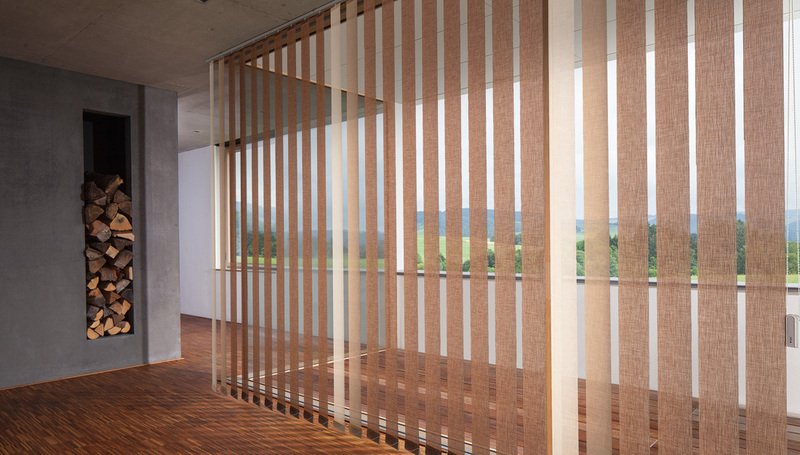 With our Perlex and other coatings on the back side of the slats light can be effectively reflected, offering a high level of privacy and glare protection. 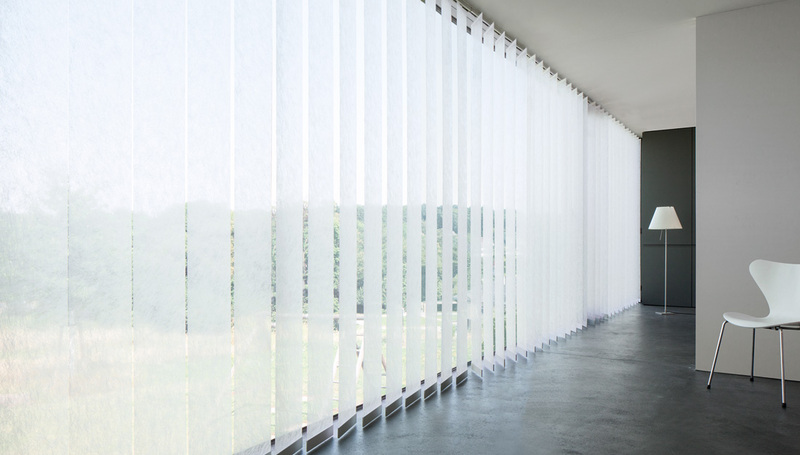 Perfectly suited for large window areas, doors, transom windows, and more, these are an effective purpose made as well as aesthetic shading option. All shades are tailor made to your specifications. 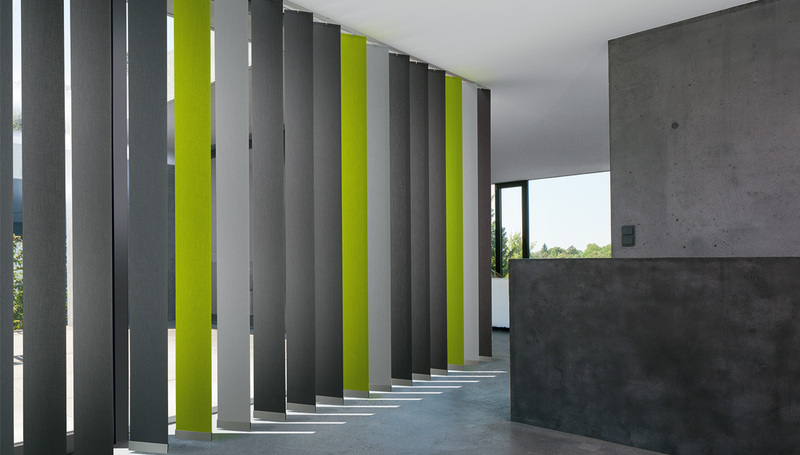 They allow flexible light guidance and uniform, or patterns of colour. 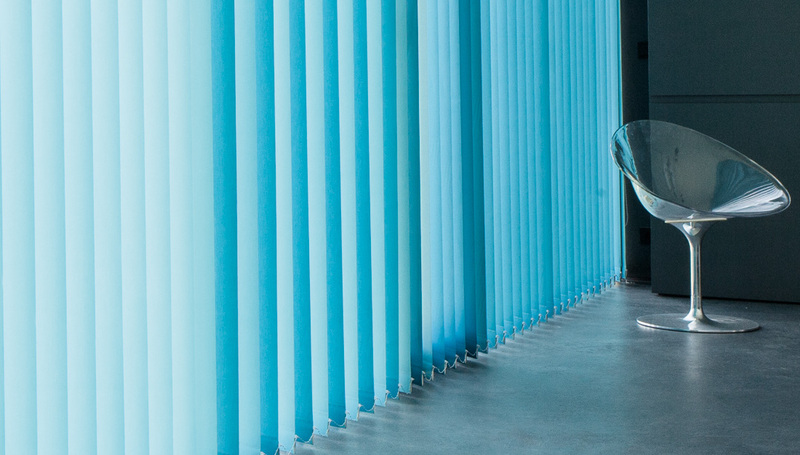 Perfect for even very large window areas, these shades can accommodate a wide range of applications. 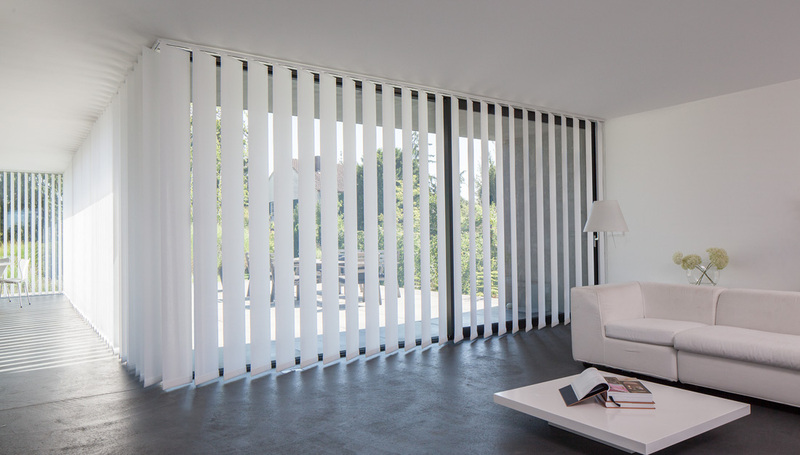 The collection includes over 400 panel options, in four transparency stages with function oriented fabrics including Trevira CS, Perlex, or aluminum back side coating, or fibre glass. The panels are flame resistant and anti-microbial, suitable for humid or wet environments.